In an incandescent light bulb, light is produced by the heating of filament. It has a carbon-based filament in the center of the bulb connected to the two terminals and maintained at vacuum glass chamber. This filament has a high resistance to electric current. Due to this high resistance, it gets heated when current passes through it. As soon as the filament is so hot, it begins to glow. This is called as incandescence. It continues to glow as long as the current flows through it. 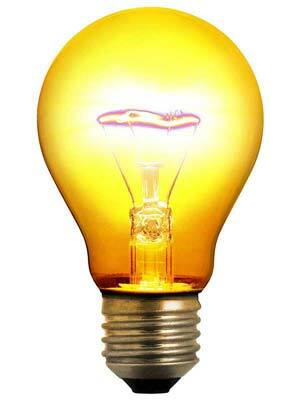 The average life of an incandescent bulb is about 1500 hours. In this type of lamps large amount of power is wasted as heat.